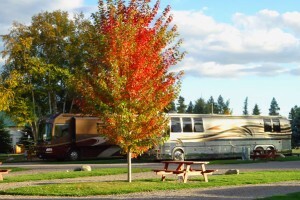 Reserve your favorite national forest campground and campsite in the Glacier and Flathead area. Click to see our locations, availability and rates. 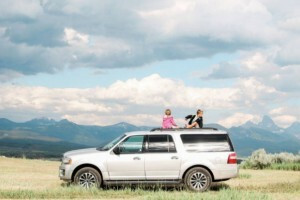 Where can I find great cabins and campsites near the Flathead National Forest? 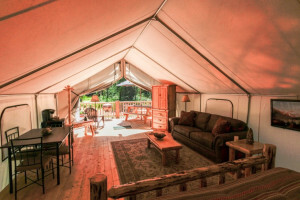 With 31 campgrounds and 12 rustic rental cabins dotted throughout the Flathead National Forest, visitors are bound to find their perfect wooded or lakeside abode. From remote campsites at Spotted Bear and Tally Lake to the historic Mission Lookout cabin which sits 40-feet above the ground, the Flathead National Forest Service rents out some of the best real estate in the valley. Not far from Tally Lake, Montana’s deepest, the Star Meadows Guard Station Lookout and Cabin sits in one of the prettiest valleys outside Glacier National Park. Ringed by mountains, Star Meadows sits in the heart of deep timber country and offers abundant wildlife viewing. The 2-room historic cabin is rustic, but features an electric fireplace and lots of wide open space for family gatherings around the outdoor fire pit. Location: From Whitefish follow Route 93 West for 10 miles, turning left on Farm to Market Road. After 1.5 miles turn onto the Star Meadow Road and drive 15 miles until you see the "cabin" sign. Services: Sleeps 6 people. 4-single beds and 1 futon couch. Electricity, heat, microwave, refrigerator, vault toilet. Hand-pump well for drinking water. Sitting atop a 75-year-old fire lookout tower, Mission Lookout Cabin offers some of the best views of the surrounding Swan Mountains and Swan Lake. A magical setting, the 15x15 foot wooden cabin has windows on every wall, which makes it convenient to watch the sunrise from your cot. In the evening, sit upon the tower’s floor and watch the wildlife, like moose, grizzly bears and deer meander below. There is a small bed, folding cot, and a propane stove for cooking. The old-fashioned outhouse is located down on the ground, so if you have to use the bathroom during the night-be prepared to climb down the tower in the dark. This location is not suited for families with small children. Location: Located just a few miles outside the tiny town of Swan Lake, Mission Lookout is accessible off Highway 83 west. From Highway 83 west turn onto Porcupine Road and travel 2-miles, then follow Forest Road #9803 for 1.4 miles. 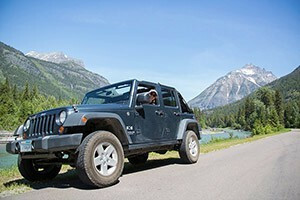 For those looking to enjoy an overnight stay in a remote area of northwestern Montana, then Silvertip Cabin is for you. With the nearest town being over 70-miles away, Silvertip is nestled in the heart of the rugged Spotted Bear Wilderness. The one room wood structure sits on a hill surrounded by vast pine forest and is just 1/4-mile from the Spotted Bear River. With 6 beds and 2 folding cots, the cabin easily sleeps 8 people and features a wood stove, propane cooking stove, but no drinking water. Location: From Hungry Horse take Highway 2 for .5 miles until you reach the East Side Reservoir Road #38. Turn right Road #38 and drive on through the town of Martin City. Follow the gravel East Side Reservoir Road for 54 miles to the Spotted Bear River Road #568. Turn left on Spotted Bear River Road and follow 14 miles until the end of the road at Silvertip Trailhead. You must walk .5 miles along the Spotted Bear River Trail #83 to Silvertip Cabin. Services: Pit toilet, propane stove and wood stove. No potable water.